Little Brother Wayne (left) and Big Brother Adam (right) on Wayne’s wedding day where Adam served as the Best Man. Today’s blog is written by Alumni Big Brother Adam Brown. Adam is a two-time Big Brother, and was named the 2009 Indiana Big Brother of the Year. In 1988, Adam was matched with his first Little Brother, Wayne. After Wayne and Adam graduated from the program in 1995, Adam signed up to be a Big again. 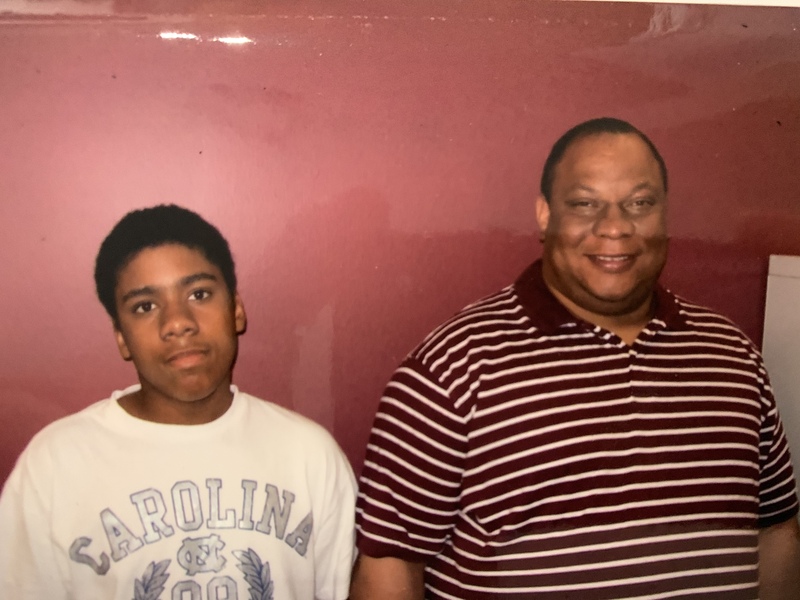 He was matched with his second Little Brother in 2006 and they graduated from the program in 2015! Read more about Adam’s match stories below. “When I was a kid, I always knew that I wanted to help others achieve their dreams. I knew how discouraging it was to not have a close friend, and how limiting it was to have life’s problems standing in your way. That overcoming life’s obstacles was much harder when going it alone. After my hectic college years, I was approached in 1988 by a co-worker who was a Big Brother. He was participating in a recruitment challenge and asked if I would be interested in becoming a mentor. Immediately, I knew that I was going to be a Big Brother! Later that year I was matched with my Little Brother Wayne, who was 11 years old. Years later I would find out that Wayne did not want a Big Brother, but his family thought he needed one. I found out that the reason that he took so long to come out of his room at our match introduction was that he was hiding! It only took a few outings before Wayne and I became best friends. I became part of his family, and he became part of mine. We mainly enjoyed going out to eat, watching sports, and doing typical guy stuff. Most importantly, we always enjoyed spending time together and going through life’s challenges with each other. I moved away out of state while I was matched with Wayne, so our match was officially closed, but we still kept in touch and talked regularly. We saw each other often as my family came back to Indianapolis to visit, and I came back to town on business trips. After four years, my family moved back to Indianapolis and Wayne and I were officially re-matched! Wayne said that it felt like I never left. 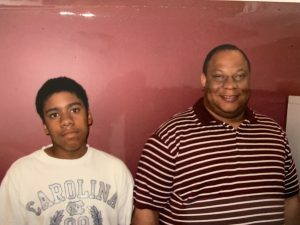 Wayne’s family felt that his participation in BBBSCI turned his life around. I was proud when Wayne’s grandfather, shortly before he passed away, pulled me aside to tell me something that I will forever hold dear to my heart. He said, ‘I don’t know what you did for that boy, but thank you’. 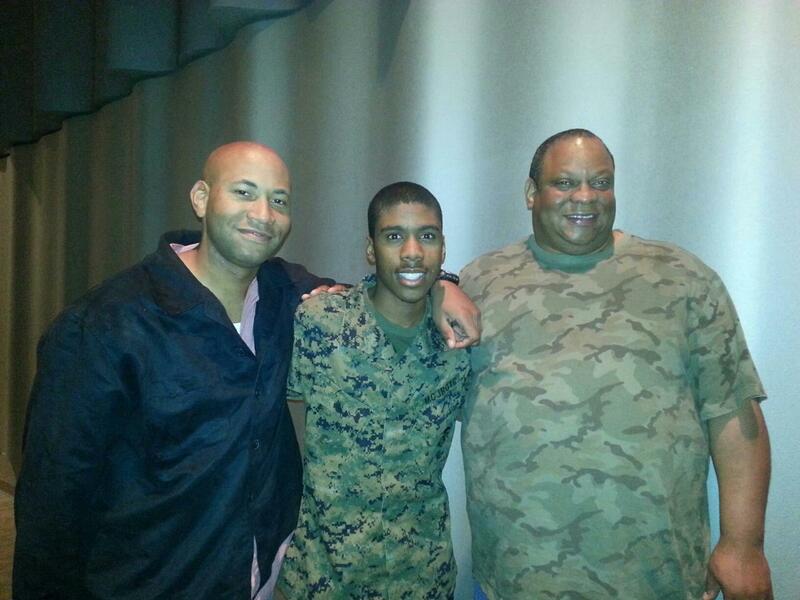 After high school, Wayne was the first person in his family to go to college. He graduated from Purdue University with a Bachelors degree in Computer Technology. 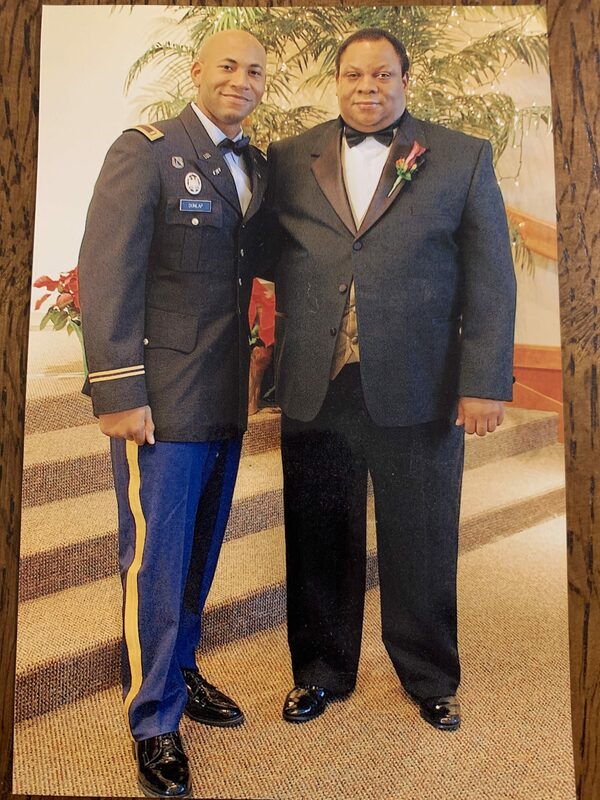 He became an officer in the United States Army and worked hard to achieve his current rank of Major. I was proud when he asked me to be the Best Man in his wedding. We are still best friends to this day. 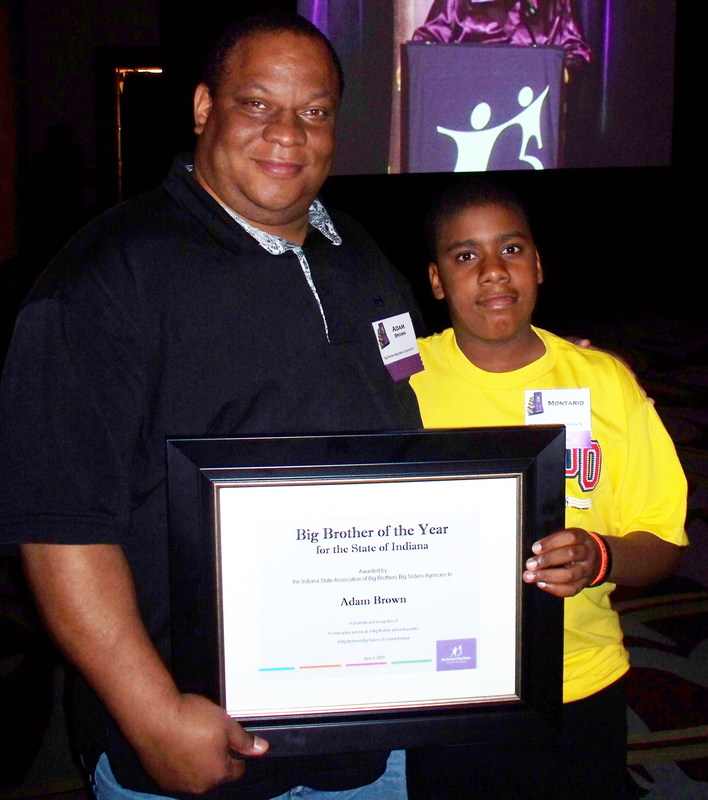 Adam and Little Brother Montario with Adam’s Indiana Big Brother of the Year Award. A few years after Wayne and I graduated from the program, I decided to join Big Brothers Big Sisters again. In 2006, I was matched with 9-year-old Montario. Montario was a shy and modest kid with big dreams. We enjoyed going out to eat, listening to music, and overcoming the little challenges in life that we all face. I got permission from Montario’s mother to buy him a music production system for Christmas one year. He immediately took to it and learned how to create rap music all by himself. He blossomed into a determined young man dedicated to perfecting his musical craft. He has written, performed, and produced many songs, and he even produced his own album and artwork! Montario was asked to perform some of his original music at the BBBSCI awards gala one year. He is currently working on his second album. He graduated from high school and is attending the University of Southern Indiana, majoring in pre-law. We are still good friends to this day. In 2009, I was honored to be named the Indiana Big Brother of the Year. It is one of my greatest achievements in life, and one that I felt guilty to receive because I feel that I got much more out of the program than I ever put into it. Little Brother Montario and Adam at their match introduction in 2006. During the month of February, YOU can help us match 25 waiting kids with a caring adult mentor. Help us make more matches like Adam’s possible by making a gift at www.BeBigForKids.org/MatchMakers. For more information, including how to maximize the impact of your gift, contact Caitlin Bain, Development Director, at [email protected] or 317-472-3731.